JAMIKE Jarin expected a promising year from his young yet feisty National University squad this year, hoping that the undeniable talent would be enough to outweigh his wards' inexperience. However, that immaturity bit them too many times in the back and eventually, cost them the Final Four this UAAP Season 81. That was the case again on Wednesday when the Bulldogs absorbed an 84-77 defeat as the La Salle Green Archers showed them the door. "It’s the story of the season eh. Almost all of our games, we're all there, then all of a sudden, it's just bad shots, bad breaks, and we couldn’t get a break," he rued. "La Salle just took advantage of it and made some tough shots. We missed some tough shots and that was the game. We just need to learn from all of this and learn to become better players and team in the future." Jarin himself acknowledged that this wasn't the finish he envisioned at the start of the season, that at this point of the tournament, he truly believed that NU is better than its 3-9 standing. "Our record could’ve been the other way around. We could be 3-9 or we could be 9-3, something like that. 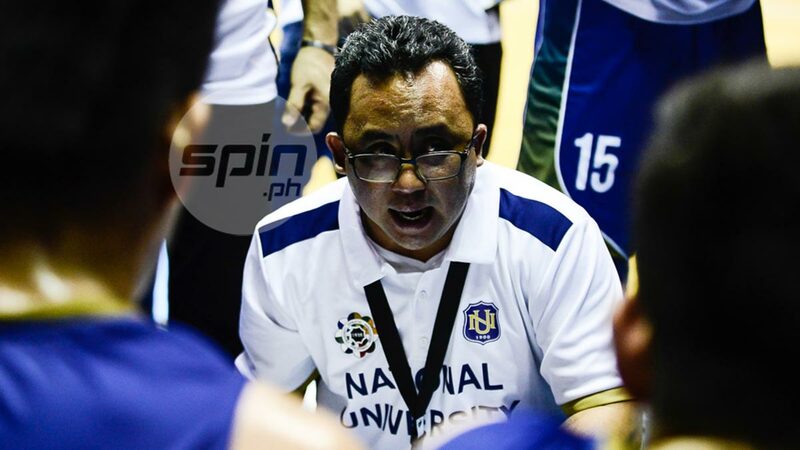 Cause we just lost in the last three to four minutes of the game, depending on whoever it was," he said after once again missing out on the semifinals in his second year at the helm in Jhocson. "These are the things that you have to work on, how to turn around your record from losses to wins. All of you said we could turn it around." Jarin, however, knows there's no more sense crying over spilled milk - as disastrous as the Bulldogs' performance was in their hosting season, he's more than willing to take the bullet. "It’s been very disappointing especially this year, but again, I take full responsibility for it. We have a young team, so we just have to be patient with all the things that we need to do. Of course, we could’ve done better. I take all the blame," he said. There's no question, though, that the future is bright for the Bulldogs led by guys like Dave Ildefonso and John Lloyd Clemente, and for Jarin, coaching these young turks and priming them for the long run is what makes his job more exciting. "As you can see, you’ve got a very good future in front of you. Not only NU basketball, but Philippine basketball in particular, because of John Lloyd Clemente, Dave Ildefonso, and Josh Sinclair. These are the things that you get up in the morning and be excited to work with them because every day, every time you wake up, it’s a day that they mature," he said. "Hopefully, we get it done and get over the hump, and the next time we’re gonna talk, we’re talking about the Final Four and probably, the Finals next year."